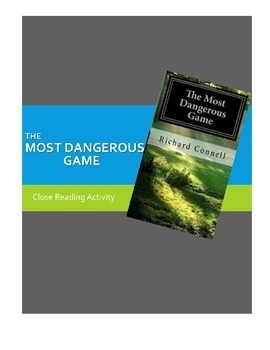 How does Richard Connell create suspense in his classic short story "The Most Dangerous Game?" Your students will delve into this question using this close reading activity. 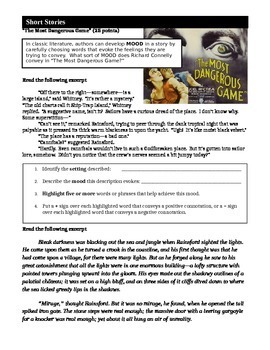 First, students will work with excerpts of the story to develop analysis of setting and mood. 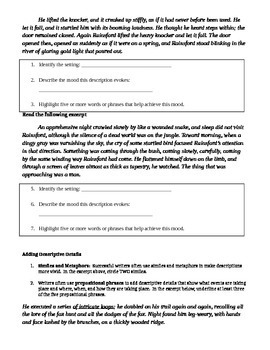 They will take a special look at similes and metaphors the author's style of using prepositional phrases to add descriptive details. 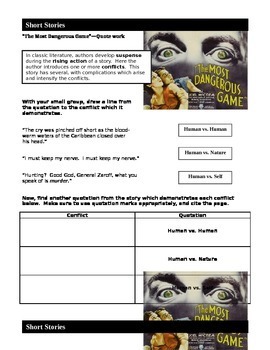 Next, students use quotations from the story to analyze suspense in terms of rising action and conflicts. This activity can be used in small groups or by individuals, but works best with a good whole-class discussion at the end! Model answers are included in the answer key provided!